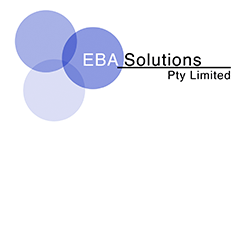 EBA Solutions Pty Ltd was formed in May 2011 with the objective of providing consultancy services to the public and private sectors. Key markets it works in are Defence, Defence Industry and State Government. Expertise in: Contracting/Commercial; Logistics; Tactical Data Links; Data Management. EBA Solutions has been providing satellite communications courses to both the Department of Defence and Defence Industry. The courses range from 2 Day Executive Overview to 5 Day Satellite Planners Courses. EBA Solutions provides specialist services to its clients and understands its clients’ needs given nearly all its people have served in the Defence sector.